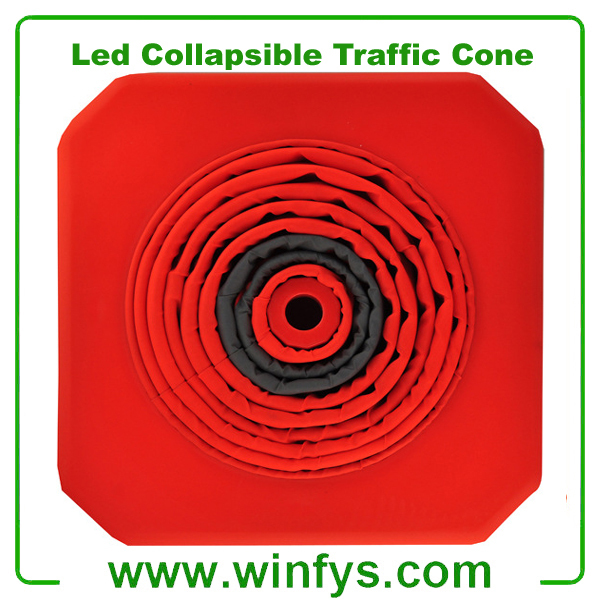 3.Led flash light at base is optional. 1.It is collapsible for easy storage and transport. 2.Different heights optional: 30, 35, 40, 45, 50, 55, 60, 65, 70cm. 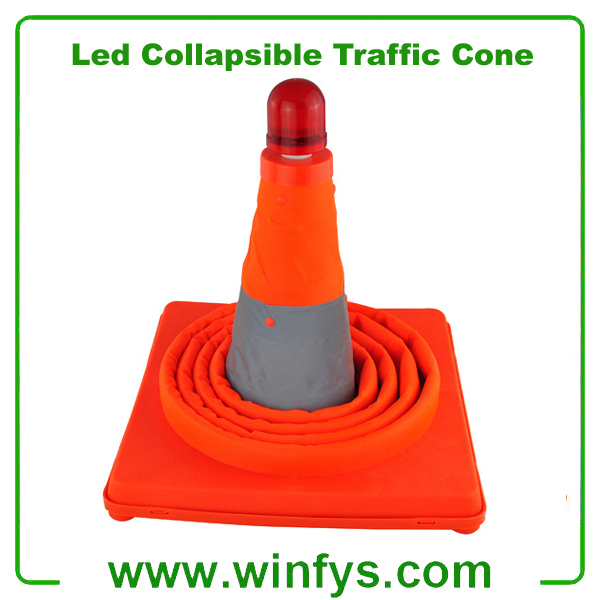 3.High visibility from all directions (more than 300m) with silver reflective bands. 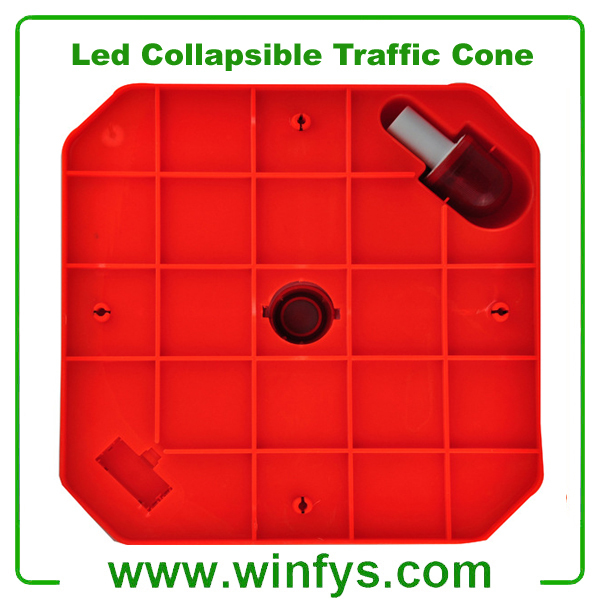 4.Top LED Warning Lights are optional for better visibility in the dark. 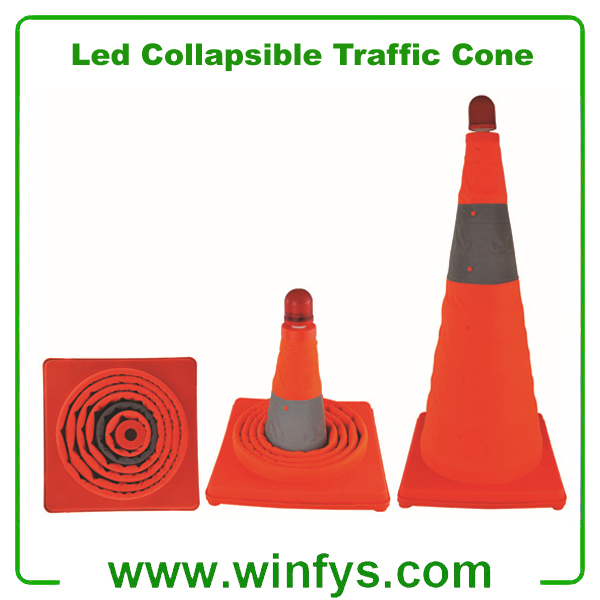 5.Perfect for emergency responders, Fire/EMS or simple as an emergency traffic cone kit for motorists.